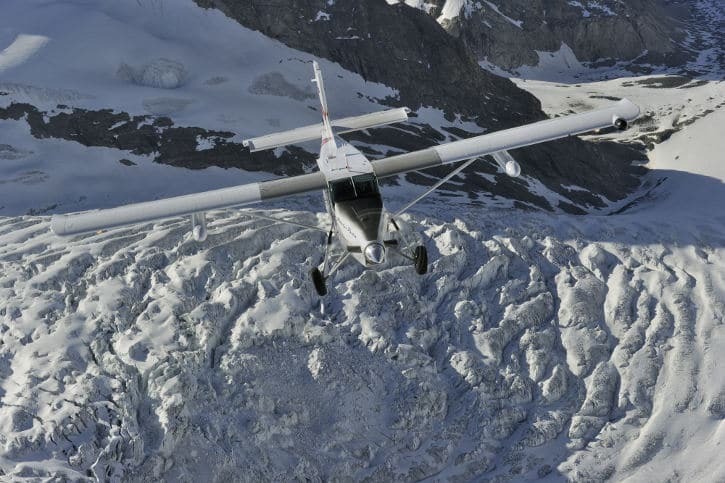 The success of the PC-6 Porter is built around its STOL capabilities. This feature makes it very sought-after for missions such as international relief, firefighting, medevac, parachuting, search and rescue, and even sightseeing. 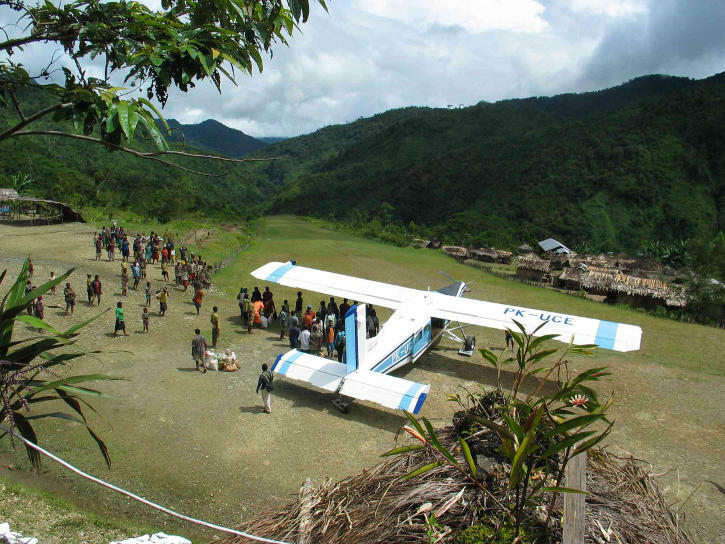 If you watch movies or TV at all, you’ve probably seen “the Porter” in action, taking off and landing on remote dirt airstrips in far corners of the world. That’s not just the work of Hollywood, that’s just what the Pilatus PC-6 Porter does best. The Pilatus Porter is considered one of the world’s most versatile STOL aircraft, an acronym for short takeoff and landing. Pilatus Aircraft, based in Stans, Switzerland, introduced the PC-6 way back in 1959. The first PC-6/340 Porter was powered by a 340 hp Lycoming GSO-480 flat six and had a useful load of just under 2,000 pounds. It would quickly receive some minor upgrades, including an engine upgrade to a 350 hp Lycoming O-540 six-cylinder engine, increasing its max weight by 500 pounds. Less than 70 piston Porters were built before Pilatus took the leap to turboprops, starting with the 523 shp Turbomeca Astazou IIE engine in the PC-6/A in 1961. From here on out, the Porter would undergo countless engine changes without really changing the airframe much at all. Forty PC-6/As were built, most with the Astazou IIE or IIG engines. A few were built with more powerful 573 shp Turbomeca Astazou XIIs, all in the 1960s. The bulk of PC-6 Porters are fitted with the Pratt & Whitney PT6A variants. These PC-6/Bs came off the line in 1964 first with the 550 shp PT6A-6A. Again, only a few of these were built before Pilatus fitted the PC-6/B1 with the PT6A-20 engines, still rated at 550 shp. Today’s most popular Porter is the PC-6/B2, introduced in 1984. The B2 model is equipped with the super-reliable PT6A-27 engine, capable of 680 shp but derated to 550 shp in the PC-6. Almost 300 of these aircraft have been built. The PC-6/B2-H2 is capable of a max takeoff weight of 4,850 lbs; the B2-H4 was designed with the same engine but a stronger airframe and wingtips added to the wings, increasing the takeoff weight significantly to 6,173 lbs. We also have the PC-6/C. Approximately 60 of these models were built, with Garrett turboprop engines starting in the mid-1960s. These aircraft were actually produced under a license by Fairchild Industries in the United States for service in the Vietnam War and were known as the “Peacemaker”. These aircraft were fitted out with Gatling guns and external pylons and served in both the U.S. Air Force and U.S. Army as an armed STOL cargo craft. Their service in the Vietnam War was short-lived due to a myriad of problems with the non-standard configurations, so the aircraft returned home after less than a year and were eventually sold to the Royal Thai Air Force. Two other Porter models were tested but quickly scrapped. Why try to improve on something that really doesn’t need to be improved? The PC-6/D was a short-lived prototype developed in the 1960s with a turbocharged 500 hp Lycoming piston engine. The second, more ambitious project was a twin. The PC-8D was built on the PC-6 airframe using 290 hp Lycoming IO-540 piston engines. Development of the Twin Porter started in 1967 but was halted in 1969. Back to the reliable single-engine Porters! Where to start? The Pilatus Porter does it all and was designed to do so. Construction is very simple, using the standard monocoque construction with aluminum spars, ribs, and skin. There are two large sliding doors on both sides of the cabin to facilitate the transfer of cargo and medical patients. The pilot can operate an optional trapdoor for dropping supplies or material like fire retardant. 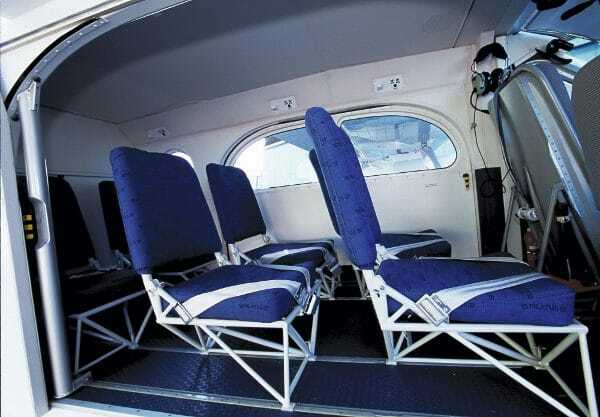 The seating for ten passengers can be quickly and easily removed for cargo, including the cockpit passenger seat. What’s unique about this airplane, and I never noticed it until it was pointed out to me, is that it’s a tail-dragger. That’s something you don’t often find in modern cargo aircraft. But in a tail-dragger configuration, versus the standard tricycle arrangement, the propeller and engine are kept up higher off the ground. This is perfect for operating on bumpy, bushy runways! Pilatus has really thought of it all during the going on six decades of production. 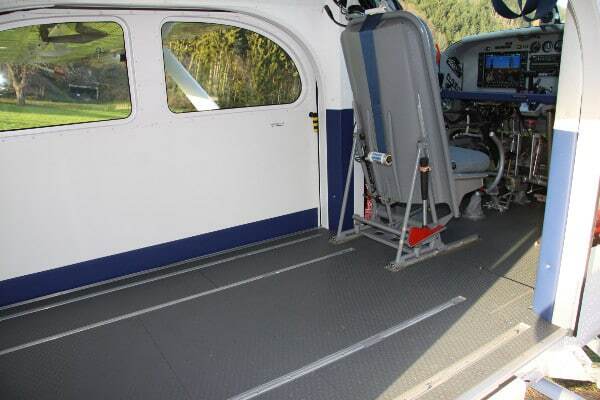 The Pilatus Porter can also be fitted with sensors and/or photography equipment in the trapdoor of the aircraft. On other airframes, this valuable equipment can be fouled by oil and exhaust. The PC-6 has oil/exhaust catchment and diversion systems to eliminate this problem, making it a very popular platform for aerial reconnaissance. Water and snow? No problem. Porters can be equipped with floats for water landings, and skis for operation on snow and ice. The skis can be folded up inflight, allowing a pilot to takeoff from a conventional runway, fold the skis down, and land on a glacier. The tires are designed for low-pressure, improving operations in loose dirt and sand. The Pilatus Porter can almost compete with helicopters for landing zones. At max weight in standard conditions, it has a takeoff roll of only 646 feet and an even shorter landing roll of 417 feet. In those same conditions, the Porter can climb at over 1,000 fpm and can even maintain a 900 fpm rate-of-climb passing 5,000’. The numbers for taking off and landing over a 50’ obstacle are 1,444’ and 1,030’, respectively. The PC-6 has a standard fuel load of 170 gallons in the wings but can also be equipped with underwing tanks for an additional 128 gallons. A full load with external tanks will still leave an impressive 1,376 pounds for passenger and cargo loading. Cruising at around 120 knots, the Porter burns close to 39 gallons per hour. The Pilatus Porter has made a few appearances in the Guinness Book of World Records. Its first was in 1960 when the piston Porter was just an infant. In fact, it was a prototype that made the record for the highest landing made by a fixed-wing aircraft. 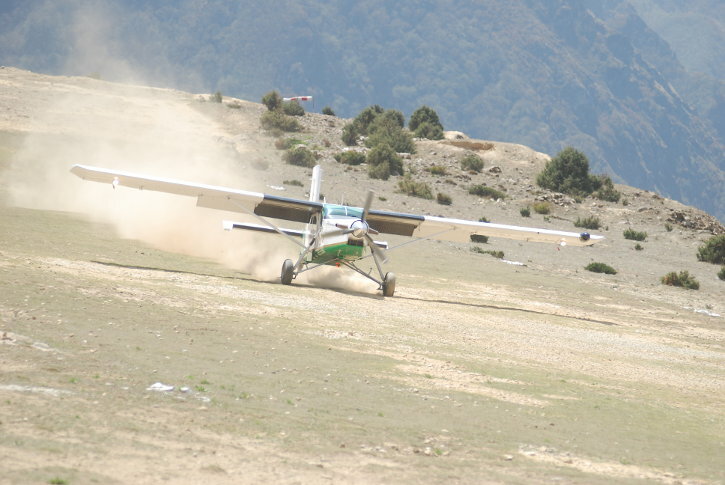 This PC-6 landed on Nepal’s Dhaulagiri glacier at an altitude of 18,865 feet! In a piston! This is truly amazing and the record still stands, a testament to its STOL capabilities. The Porter also holds the record for the most parachute jumps in a 24-hour period – 500 jumps, made by one person, in the same aircraft, in only 24 hours back in 2001. You’re probably scratching your head right about now, wondering how that is possible. With 1,440 minutes in a day, each jump cycle had to average less than three minutes! The aircraft would climb to 2,000’, drop the jumper, and return to land at the parachute landing zone. The jumper would grab a new chute, hop back in the plane, and do it again. This specific aircraft holds the record for the most takeoffs and landings in 24 hours, and one of the pilots holds the record for the most takeoffs and landings, with 424 consecutive takeoffs and landings in 21 hours straight. 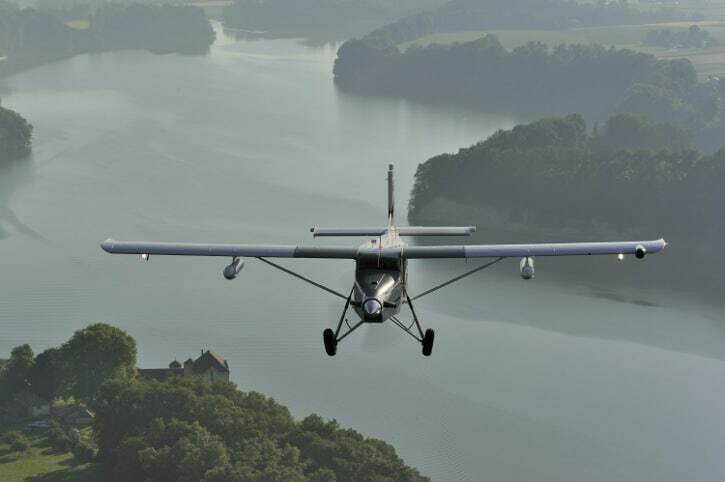 The success of the Pilatus PC-6 Porter is built around its STOL capabilities. This feature makes it very sought-after for missions such as international relief, firefighting, medevac, parachuting, search and rescue, aerial survey and photography, and even sightseeing. The PC-6 is currently operated by militaries of over a dozen countries and countless other civil & law enforcement agencies around the world. Only 600 Porters have been built since the 1960s, with approximately 300 still in service today, but Pilatus is still producing them. There will always be a demand for an aircraft this versatile!